Berlin is a city that’s always maintained an uneasy relationship with celebrity culture. It was here that David Bowie went to get away from the glare of the British press, a move that would have a profound creative effect both on his music and his personality. Its oft-brutalist architecture, dingy clubs, damp studios and derelict warehouse spaces might boast their own appeal, but they’re a far cry from the Hollywood Hills. While Berlin is a city that’s embraced techno like nowhere else on earth, it’s also not the sort of place that fosters hometown superstars. In spite of this, the German capital is home to a producer who’s most definitely deserving of this description. 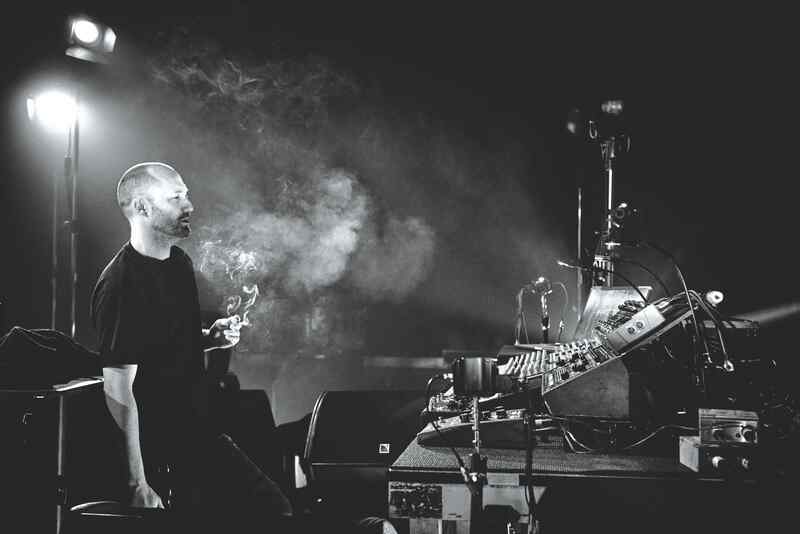 It’s a tag he’s reluctantly embraced, but when it comes to techno producers who have successfully crossed into the mainstream, few of those in the contemporary domain can touch Paul Kalkbrenner. The fact that he’s done so on his own terms, without compromising his sound, makes his story all the more compelling. Born in Leipzig in East Germany in 1977, Kalkbrenner’s parents moved their young family to Berlin when Paul was still a toddler. He started playing trumpet at eight-years- old, and would later go on to study music theory at school. Barely a teenager by the time Germany was re-unified, the coming together of East and West would open up a new level of opportunity for Kalkbrenner and his peers. The country’s re-unification and its accompanying techno soundtrack is a tale that’s been recounted many times over, but in the case of artists such as Kalkbrenner, it’s also one that can’t be emphasised enough. To this day, his is a story that’s indebted to Germany’s re-unification, and in many ways his success speaks volumes for the entire process. In 2014, Kalkbrenner was even invited to play a special gig at the historic Brandenburg Gate to mark the occasion’s 25th anniversary. 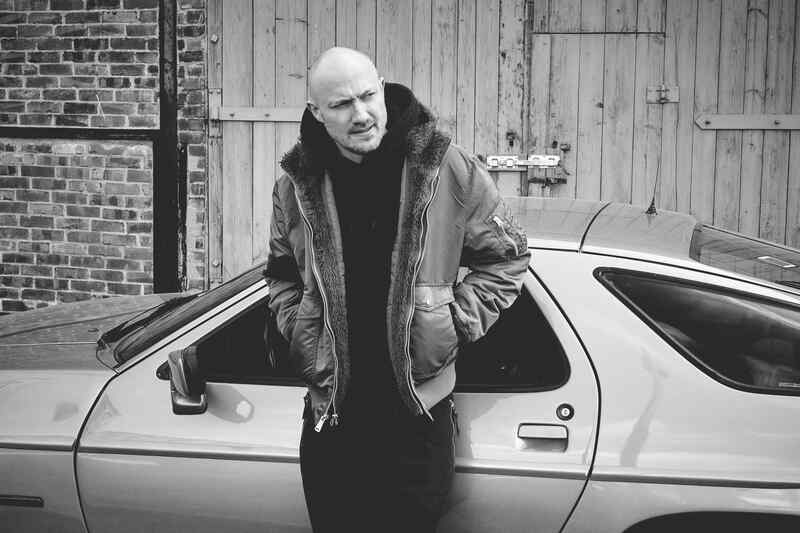 His was something of an obvious inclusion: after all, few other artists enjoy the sort of reciprocal relationship with their home city as Paul Kalkbrenner does with Berlin. Though Kalkbrenner owes an enormous debt of gratitude to the wall’s crumbling, it’s a fictional Berlin story that helped catapult him to stardom. Following the release of his ‘Self’ LP in 2004, Kalkbrenner was approached by Hannes Stöhr, a German director and long-time supporter of his work, who proposed Kalkbrenner produce a soundtrack for a script he’d written around a fictional, Berlin-based DJ/producer by the name of Ickarus. Aside from the soundtrack, Stöhr also saw Kalkbrenner as the perfect person to bring his story to life. Which, of course, is exactly what happened. Not only did Kalkbrenner deliver a virtuoso performance as Ickarus, but he also produced a dazzling soundtrack that encapsulated all that’s great and often terrifying about Berlin’s party scene. Released in 2008, Berlin Calling became an instant cult classic. Spurred on by the aforementioned soundtrack, it quickly set records galore, with Kalkbrenner’s track ‘Sky & Sand’ (produced in tandem with his brother, Fritz) spending a record amount of time in the German charts, and the movie itself spending 145 consecutive weeks at Berlin’s Kino Central cinema. Although there is a sort of art-imitating-life, Spinal Tap-esque vibe to Kalkbrenner’s story, anyone who thinks Ickarus’ unfortunate plight is one that mirrors his own personal life is very much mistaken. Indeed, contrast is a theme that runs deep with Kalkbrenner: not only is he a live act renowned for portraying a DJ, he’s also very much a musician more than he is an actor. A superstar with a penchant for predominantly ‘underground’ sounds, unlike Ickaurus, he’d rather spend his free time with his young family as opposed to cavorting around Berlin nightclubs. When DJ Mag dials him up in Berlin, he apologises profusely, asking if he can call us back in 20 minutes before explaining that he’s busy looking after his daughter. When we do chat, we find Paul Kalkbrenner in confident mood. The reason behind our call is Kalkbrenner’s eighth studio album, ‘Parts Of Life’. An expansive body of work that sees the Berliner return to his trademark, cinematic sound, the release touches on various moods throughout, from the more accessible techno of ‘Part Three’ and ‘Part Six’, to the Berghain-friendly ‘Part Four’. An LP full of surprises throughout (more on that later), ‘Parts Of Life’ is Kalkbrenner’s second album with Sony, but refreshingly, also one that’s mostly unaffected by its signing to a major record label. Now that the album’s done and dusted and the man himself is about to embark on another live tour, what does he make of the finished article? OK, so clubs are out, but perhaps modern electronic music played a significant role in the shaping of the new album? Not so, explains Kalkbrenner, who flat out responds, “absolutely none” when we ask him what contemporary artists influenced the LP. What did play a key role in influencing the album is Back To The Future, a mixtape project of Kalkbrenner’s that saw him turn his attention to over 60 tracks that he felt represented the historical rise of techno in his home city from 1987 to 1993. A move that was very much indicative of the producer going back to his musical roots, Back To The Future saw Kalkbrenner rip, edit and compile a host of classic tracks before he presented them in his own inimitable way; first via a series of mixtapes, and secondly, via a special tour that saw him revert to more intimate spaces. It’s clear that the whole process invigorated him musically, with the man himself citing Back To The Future as a “massive influence” on the new album. For Kalkbrenner, the method by which he approaches the production process is of fundamental importance. “I could never produce tracks on Ableton while I’m travelling, and I have to be in a certain space when I’m producing.” When we question if his personal life dictates his music, he responds that it’s actually the music-making process that dictates his everyday life, which goes some way to explaining Kalkbrenner’s obsessive approach to his work. Nonetheless, there can be little doubting that his everyday life has irrevocably changed since his East Berlin upbringing. The longer we chat to Kalkbrenner, the more he strikes us as a refreshingly grounded individual, and someone who possesses an ambivalent attitude toward the trappings of wealth and fame. This is significant, not least because of how it affects his music, but also because he’s someone who seemed to stumble across fame, rather than an individual who strived to be recognised outside of a core group of techno enthusiasts. Staying humble is clearly of prime importance (Kalkbrenner previously described his character in Berlin Calling, Ickaurus, as: “someone I don’t ever want to become”), and it’s another theme that courses throughout ‘Parts Of Life’, a record he refers to as his “most personal and revealing album yet”. Aside from the nostalgic vibes stirred up by Back To The Future, the album is also very much a family affair, with Kalkbrenner’s uncle, Paul Eisel, contributing to the artwork, and his young daughter and his wife clearly lending his work a new perspective. As we stated earlier on, Paul Kalkbrenner truly is in confident form. With his brilliant new album, an accompanying live tour and the prospect of another World Cup win to come, he has every reason to be. All things considered, 2018 could yet prove another monumental year for Berlin’s reluctant techno superstar. 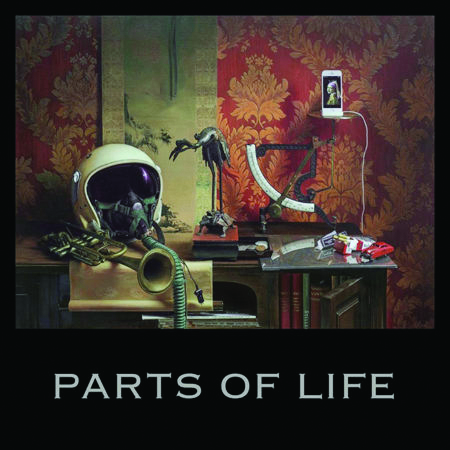 Parts Of Life’ is out now on Columbia.